As 2017 comes to a close, it’s time to start thinking about New Year’s resolutions. Let PD First Weekend’s featured event set you on the right path with the 2nd Annual Palm Desert LiveWell Festival. Happening on Saturday, January 6, 2018, the Palm Desert LiveWell Festival is the desert’s largest health and wellness event, showcasing more than 120 unique health and wellness professionals spread across the lawns of Palm Desert Civic Center Park (43900 San Pablo Ave., Palm Desert, CA) from 10 a.m. to 5 p.m. The complimentary event is an all-inclusive mind-body-spirit wellness festival focused on healthy living, physical fitness, proper nutrition, body work, spiritual peace, and medicine. Festival attendees will enjoy live entertainment, interactive fitness exhibits, heath & wellness awards, and a 1.5k color run. Attendees are also able to purchase LiveWell Bands for $25 each. Proceeds from the band sales benefit the American Cancer Society and five other charities, while providing more than $3,000 in perks from participating exhibitors throughout the month of January. Attendees are also encouraged to receive free, needle-less HIV testing by Get Tested Coachella Valley and The Desert AIDS Project. Friday, January 05, 2018, 3-6 p.m.
Get a close-up look at lovingly cared for cars on the upper level of The Gardens on El Paseo parking structure, then watch them cruise the street between Highway 74 and Portola. Friday, January 05, 2018, 4-7 p.m.
A self-guided tour of El Paseo’s art galleries – featuring exhibit openings, artist receptions, and more! Friday, January 05, 2018, 4-9 p.m. Enjoy all-night happy hour at Cuistot on El Paseo every first Friday of the month. The special hours and prices are available in the bar and veranda of Cuistot's Restaurant. A free-to-all celebration with live music in the outdoor Faye Sarkowsky Sculpture Garden. Docent tours of the current exhibition. Wine and beer from Cuistot will be available for purchase at 5:30 p.m.
Saturday, January 06 – Sunday, January 07, 2018, 7 a.m. – 2 p.m.
For over 30 years, this premiere open-air shopping experience has been a popular destination for visitors and residents alike! Offering more than 300 booths featuring artists, farmer’s market, boutiques, unique items, live entertainment, gourmet food and more. Saturday, January 06, 2018, 9 a.m. – 4 p.m.
Support local artists and find beautiful and unique gifts and desert mementos while enjoying the natural beauty of our desert mountains! Mediums may include photography, paintings, ceramics and more. Saturday, January 06, 2018, 9-10 a.m.
Take a free, guided walking tour of the public art collection on El Paseo as part of Palm Desert's inspiring and fun filled weekend of art and culture. Meet the docent at the northwest corner of El Paseo and Portola. Sunday, January 07, 2018, 1-2 p.m.
How do you use a map with a compass? Let's have some fun learning by doing at the Visitor Center. Ages 9 and above. Kids' Corner offers story time about nature and desert creatures in the National Monument. Included outdoor or craft activity. Ages 4 to 8 with parent. RSVP required, seating is limited. Sunday, January 07, 2018 2-3:15 p.m.
Modern country music band CINCH, headlined by Eric Frankson, presents a panoply of musical styles and favorite songs. This free program will the entire family! 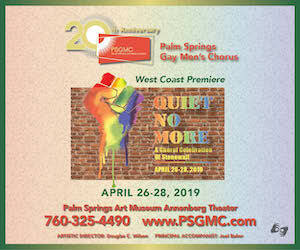 Key partners for First Weekend include El Paseo Shopping District, and Palm Springs Art Museum in Palm Desert/The Galen and Faye Sarkowsky Sculpture Garden. Held on the first full weekend of each month from November through May, PD First Weekend includes featured events, culture, art, live entertainment, food, festivals, wellness and much more. Visitors from out of the area will find everything from luxurious resorts to budget-friendly hotels, including the JW Marriott Desert Springs Resort and Spa, Marriott’s Shadow Ridge, Residence Inn by Marriott, The Westin Desert Willow Villas, Hampton Inn & Suites, Shadow Mountain Resort & Club, The Inn at Deep Canyon, Homewood Suites by Hilton, Mojave Inn, Casa Larrea Inn, Club Intrawest, Embassy Suites, Best Western, and Holiday Inn Express. Opening soon is our luxury resort, Hotel Paseo, located at the corner of El Paseo and Larkspur. 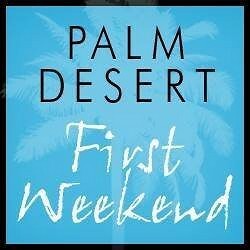 For more information about First Weekend, visit www.pdfirstweekend.com or call (760) 568-1441.